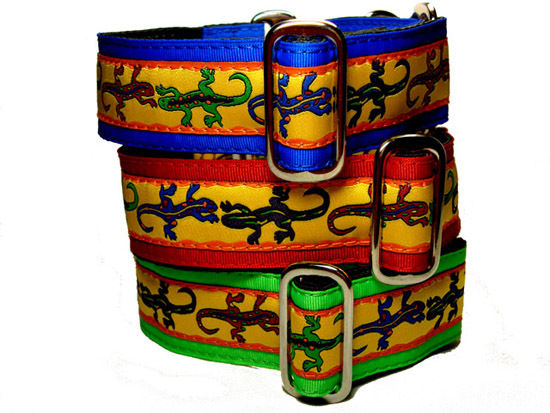 Southwestern Geckos A jacquard ribbon with bright and colorful geckos is sewn over a grosgrain ribbon in your choice of electric blue, neon green, bright red, (purple or orange not shown in photo). 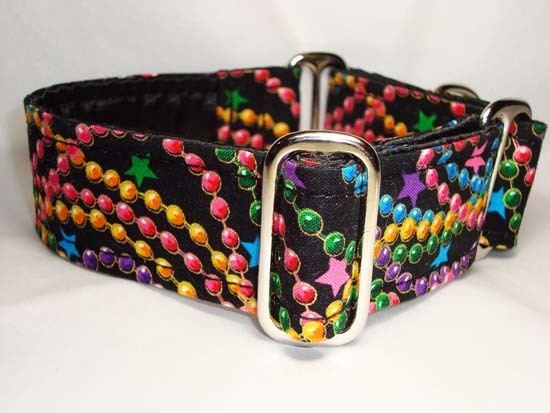 As with all of our collars, the base is completely wrapped in cuddle satin leaving no exposed edges and color matching nylon bonded thread is used for safety and softness. 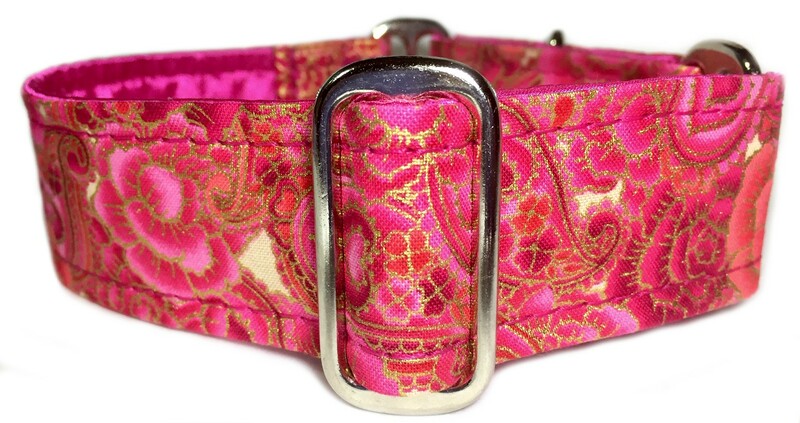 Please scroll below the photos to choose the color and hardware you prefer and the size you need. 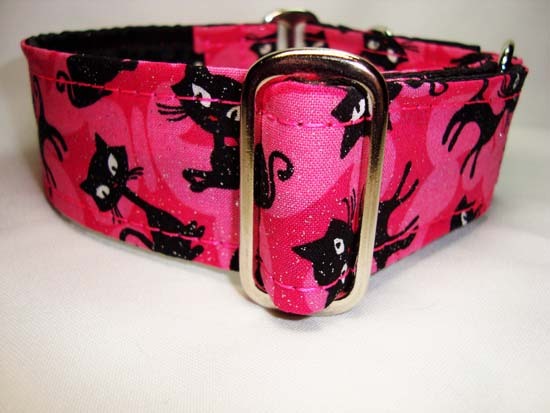 The one inch version will not have the color border ribbon on the sides.